Awesome, if I do say so myself. I have to start giving myself a bit more credit for creativity. Not decorating, mind you, but for making recipes my own. Pay no heed to the lousy picture – I am out of town at the moment, and I made this and froze it before I left. Of course, I had to taste a bit and it was phenomenal. Jenny gave us a basic cheesecake recipe, and set us loose, telling us to make it our own. I did just that by (1) eliminating the crust – yes, I made this without a crust! ; and (2) flavoring it like a creamsicle, that outstanding orange and vanilla frozen concoction hustled by our local Good Humor Man. Those were the days. I also used low fat cream cheese, and a mixture of cream and low fat sour cream because that’s what I had on hand. 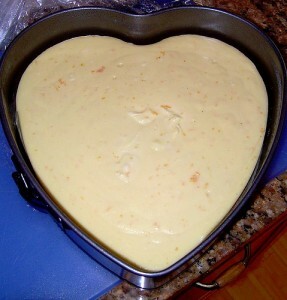 I made this in a heart-shaped springform pan, which is the only pan I have that will allow me to use a water bath. I also lowered the temperature to 325 F on convection bake, and the cake turned out creamy, smooth, and perfect, right on schedule. It did not crack. It did not burn. No water leaked into the pan (I double wrapped in heavy duty foil). A shockingly successful endeavor, all around. Be sure to check Jenny’s blog for the original recipe, and the BRAND NEW Daring Baker’s website! I am without the internet at the moment, but when I get back in town, I’m looking forward to seeing what everybody made! My adaptation after the jump. continue reading "The Daring Bakers, and an Awesome Creamsicle Cheesecake"
Key Lime Cheesecake Bars, but no TWD – I’m Out of Town. Again! I saw the folks on America’s Test Kitchen make these, and what intrigued me was the graham cracker-less crust. This recipe uses animal crackers! I love graham cracker crusts, but I think that the spice often clashes with the filling, and Master Chow really dislikes that they get soggy. I also had a bunch of key lime juice that I’d frozen, and wanted to use up. Verdict: people LOVED these, especially large, muscular males. Master Chow, a member of the aforementioned group, was particularly fond of the crust which remained crispy. These bars also froze very well, just make sure to double wrap them. In the future, I think I’ll experiment a bit more and throw some crystallized ginger in the crust, or maybe add a layer of white chocolate just to shake things up a bit. And to give credit where credit is due, I found the recipe on line via Judy’s Kitchen, a baker who seems to make a lot of cheesecake, so I’ll be visiting her more often! And she happened to find it over at Mac & Cheese. My adaptations: low fat cream cheese, and no coconut. Recipe after the jump. Finally, the beauty of the recipe is that you can make the whole thing in your food processor! 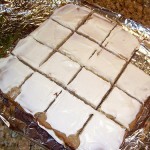 continue reading "Key Lime Cheesecake Bars, but no TWD – I’m Out of Town. Again!" Looking for my cheesecake? Well, here it is! Happy New Year, everyone! I’ve been traveling almost the whole month, and I was able to make 4 out of 5 Dorie recipes this month – my one miss were the jam cookies. I had to take a pass on those. But I’m sure looking forward to everyone’s picks next month, including Dorie Greenspan’s! 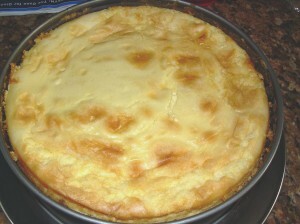 Please check out the blogroll to see how the other bakers fared with the cheesecake. Thank the TWD founders for allowing us to go out of order this month! I was able to make Dorie’s Tall and Creamy Cheesecake (pages 235-7 of Baking: From My Home to Yours), a pick by Anne of Anne Strawberry, but I did tweak it quite a bit. The result was a cheesecake that I liked so much, I’m definitely putting it on the repeat list, and so far the only cheesecake to have made that list is my grandmother’s. First, if you’re wondering where the pictures are, they are on my hard drive back home. After being home for two days from my food-poisoning-Las Vegas-trip, I got on a plane again and headed up to Wisconsin to visit my auntie. My pics are at home, and she has dial up, which makes it virtually impossible for me to hot link to blogs, etc. ‘Nuff said. When I get back in a week, I’ll upload my pictures, and add recipes and links that I’m unable to include right now. 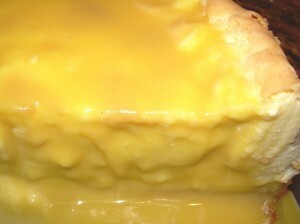 Second, I made a lemon version of the cheesecake, but I added more lemon than Dorie’s recipe called for. By that I mean that I used a lot more lemon, and I’m glad I did. My notes, however, are also back home. Inspiration for that came from The America’s Test Kitchen Family Baking Book . Third, my crust was inspired by Shirley Corriher’s nut crust (found in her lovely new book, BakeWise: The Hows and Whys of Successful Baking with Over 200 Magnificent Recipes , and an America’s Test Kitchen’s animal cracker crust. All I can tell you at this point is that I used a cup of macadamia nuts, ground, plus about 1-1/2 cups of ground animal crackers, mixed with 6 Tbsp. of melted butter. I pressed that into a 9-1/2 inch pan, and baked it until golden brown. I allowed it to cool, and then poured in the cheesecake mixture. Speaking of the cheesecake mixture, I remember that in addition to lemon juice and zest, I added a couple drops of lemon oil to punch up the flavor. I also used all low fat cream cheese and sour cream. 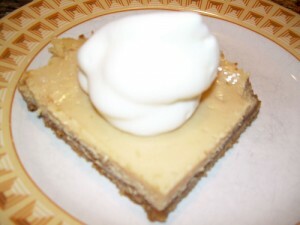 Instead of a full 1-1/3 cups of either sour cream or cream, I used 1/3 cup of the low fat sour cream, and then I whipped 1 cup of the cream, and gently folded that into the cheesecake mixture – another idea from Shirley Corriher. My cheesecake pan has a lip, so it would not fit in my roasting pan. I ended up cooking it at about 275 F to 325 F for 2.5 hours, and I constantly fiddled with the temperature, and cooked the cake until the top was a light golden color, and about a 3-inch circle in the middle “jiggled.” I placed a pan of water in the oven to do what I could do keep it in a moist environment, but I’m going to get another pan because this should really be cooked in a water bath. All that being said, the cheesecake turned out fabulously, and this is coming from someone who is not a big fan of cheesecake. Finally, as if all that wasn’t enough, I topped the whole thing with a passion fruit “curd.” I found a recipe on the Food Network site, and I took one look at it and new that it would NOT set like a curd, but might make a tasty sauce. I was right – the sauce was fantastic on the cheesecake, absolutely fantastic. Thanks to Ann for a great pick! Next week: butterscotch pudding! Be sure to check out the TWD blogroll to see what others have been up to. Recipe after the jump . . . .
continue reading "TWD – A Spectacular Tall and Creamy Lemon Cheesecake with Passionfruit Sauce"
As you can probably tell from these photos, I do not have a bright future in decorating cheesecake pops. 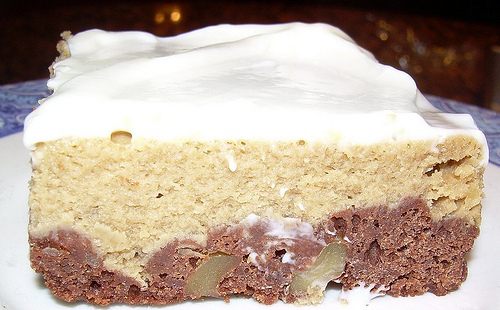 Now, this recipe was not difficult for someone who has been baking her whole life. What made it “daring” for me was the presentation element. 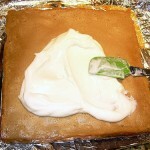 I surf the net visiting food blogs, and I am absolutely amazed at the talent out there! It takes practice and skill to present and decorate food. And a lot of patience. So thanks to Deb of Taste and Tell and Elle of Feeding My Enthusiasms for choosing this month’s challenge, because it showed me an area that I have to work on. When I can find the patience to do so! 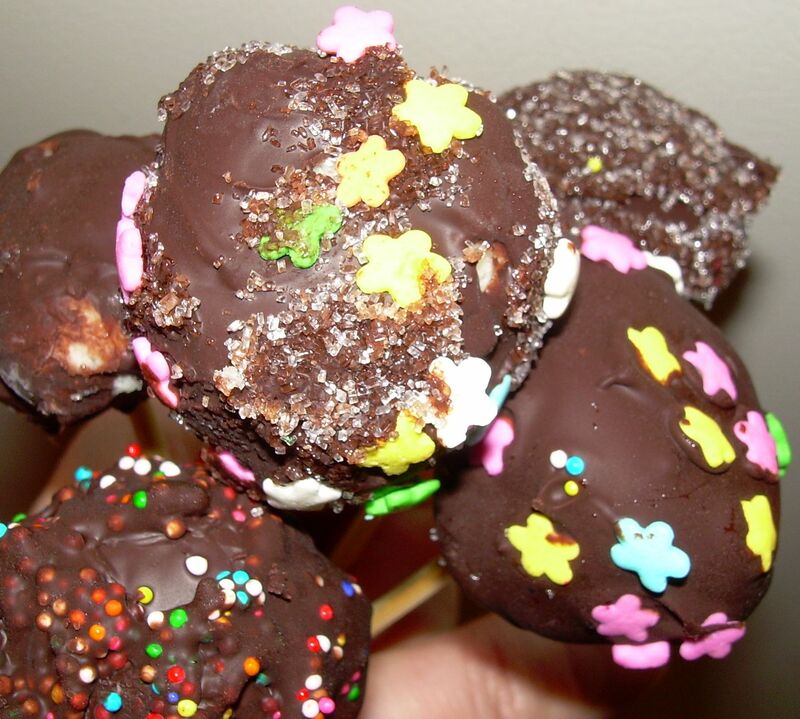 Please be sure to check out their blogs for the recipe for the pops, which they selected from Jill O’Connor’s fantastic book, Sticky, Chewy, Messy, Gooey: Desserts for the Serious Sweet Tooth . 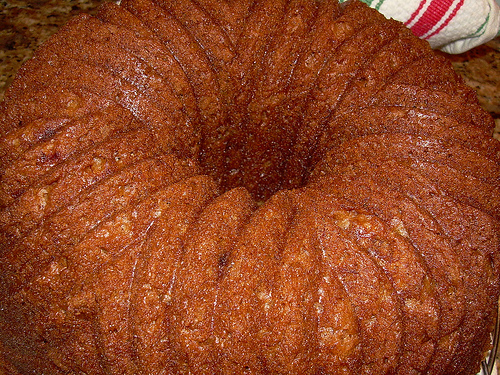 For another great recipe from the book, see my recent post on Bahama Mama Banana Rum Cake. 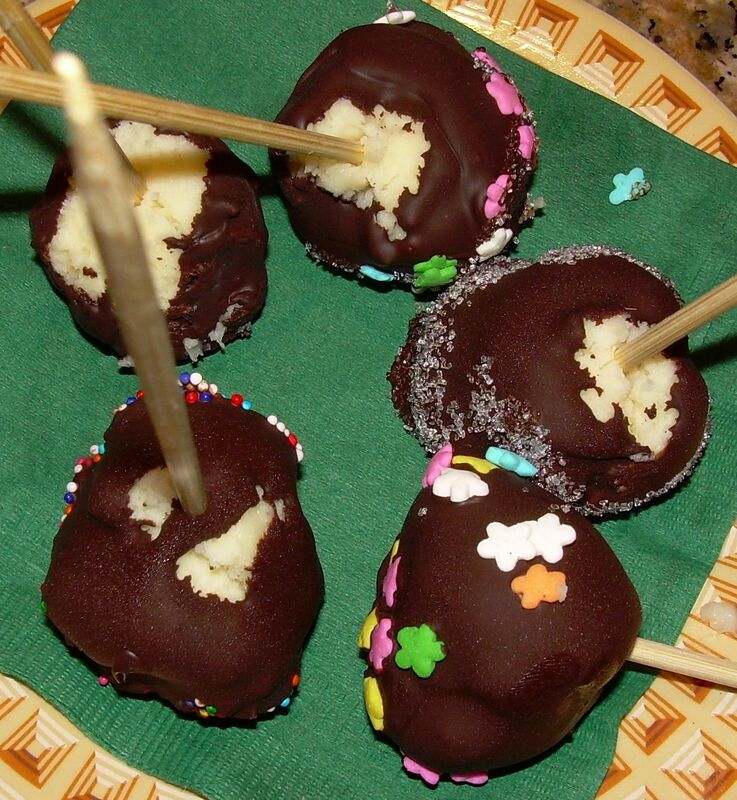 I cut the recipe down by about a third (believe me, we do not need 40 cheesecake pops around here! 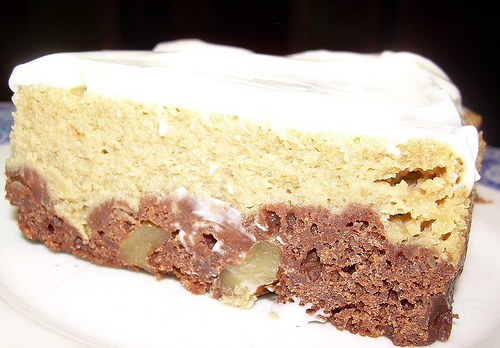 ), and used low-fat cream cheese. 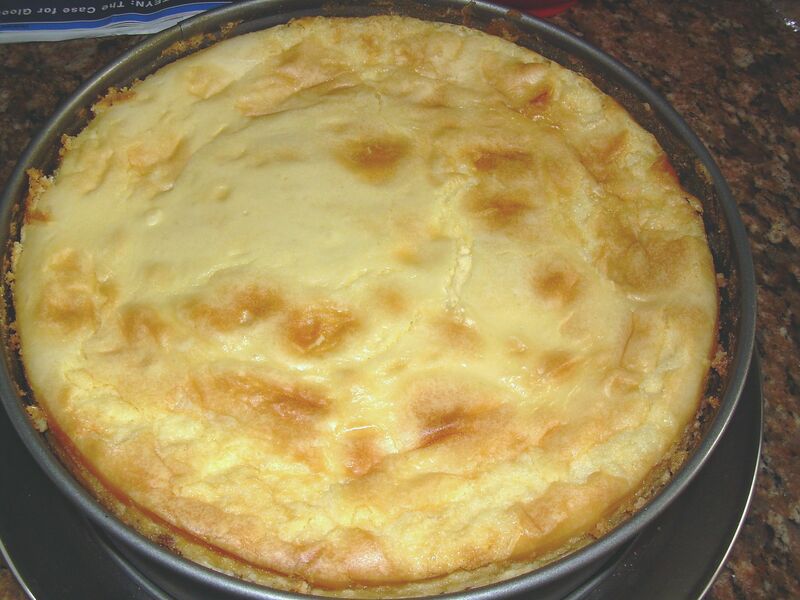 Now, I’ve never made a cheesecake before using low-fat cream cheese, because baking experts like Eleanor Klivans say not to do it, that the texture won’t be the same. I decided to live on the edge and threw caution to the wind. I’m glad I did, because the cheesecake was delicious, and after I froze it and covered the pops with Green & Black’s 70% chocolate, I could detect any difference in the texture. Heck, the pops were good without the chocolate! I know, because I ate three naked ones. A couple thoughts: First, once you dip the pops in chocolate, wait until it just begins to harden before you roll the pop in anything, or the chocolate will be too liquid for the toppings to adhere to the pops. Finally, I used a good bar chocolate, Green and Black’s, so I didn’t add any shortening (none on hand) to the melted chocolate, and everything worked just fine. The Daring Bakers is now a huge, world-wide group of bakers who get together once a month. I encourage you to visit not only your favorite bloggers, but to try new ones, too. You can find the blogroll here. And for updates on what the Daring Bakers are up to, be sure to visit the blogs of the founders, Ivonne of CreamPuffsInVenice and Lis of LaMiaCucina.